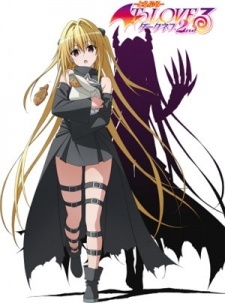 Plot Summary: A scan of Jump SQ's September issue, to be released on August 4, revealed that the fifteenth volume of To LOVE-Ru Darkness will bundle a new OVA, which will be released on January 4. Consisting of two episodes, the OVA will run for a total of 25 minutes. One episode, titled Ghost Story Kowai no wa Ikaga (How about something scary? ), will adapt a side-story from volume nine. The second episode, titled Clinic Sunao ni Narenakute (Without becoming obedient), will adapt chapter 38.